“I am honored to finally announce that I will be singing the next Bond theme song. I am so excited to be a part of this iconic British legacy and join an incredible line up of some of my biggest musical inspirations. I hope you all enjoy the song as much as I enjoyed making it.”, said the 23-year-old singer, Sam Smith. He is very popular nowadays since he released his first single “Lay Me Down”. His last masterpiece, Writing’s on the Wall, becomes the top of the twenty-four Bond songs. He wins 4 trophies in the last year GRAMMY and Song Of The Year at the 57th GRAMMY Awards on Feb 8th, 2015. There’s no doubt that he has been chosen to be the singer of the next 007 opening credits and his song becomes the top of the previous Bond songs. Smith is also the first male singer who ever wrote 007 theme song since 1965. For you who have seen SPECTRE, I believe you felt goosebumps rise on your arms, amazed by his beautiful voice and the dramatically orchestra. 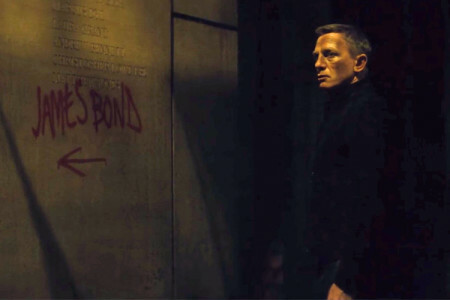 Writing’s on the Wall becomes the first ever Bond theme song to top the charts. This song really well-known among the music-lovers. It defeats the last Bond theme song, Skyfall by Adele. This song is credited to Smith and his usual co-songwriter, Jimmy Napes. It took only 20 minutes to write this song. Before he wrote this song, he read the SPECTRE scenario so that he could know how Bond’s feeling and position is. Smith really tells Bond’s haunted-from-past-life successfully. The phrase “writing on the wall” implies impending and enigmatic disaster which shown in the film. This relates to the plot of the film (which focuses on Bond’s attempt to understand the truth behind the enemy organization, SPECTRE), and a point of decision in a relationship where he has to decide if love is worth the risk.